Closeouts. 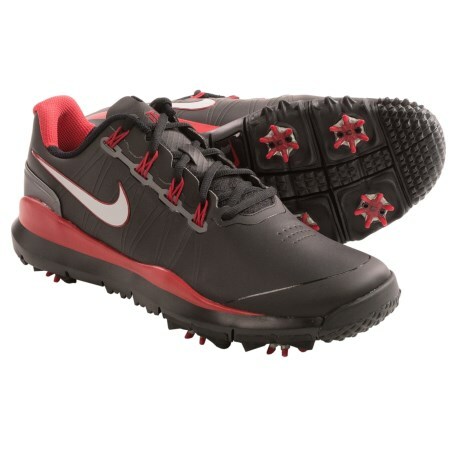 Take your game to the next level and experience the performance benefits of revolutionary fit technology with the Nike Tiger Woods 2014 golf shoe. Waterproof leather keeps you dry and comfortable, Dynamic Fit technology delivers unparalleled comfort, and the specially designed outsole offers a more natural feel during your swing and while you’re walking the course.